Sarah Addison is the Business Development Director at TalenTrust, connecting with business owners and executives nationwide to help them discover TalenTrust’s suite of solutions. 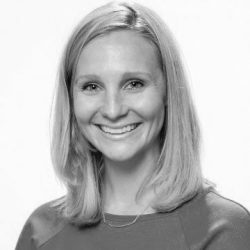 Most recently, Sarah oversaw recruiting efforts at Arrow Electronics in North America, where she spent four years focused on employer branding and targeted recruiting strategies. Prior that, Sarah was an award-winning sales representative for ServiceSource International. She has a Bachelor of Science in Business Administration and Human Resources from Elon University in North Carolina. She describes herself as organized and analytical. Outside of work, Sarah enjoys reading, fitness, and spending time outdoors with her husband, son, and daughter. She adds that, after growing up in Virginia, she’s happiest near the water.